CHARLESTON -– Michael Martin, facing life in prison without mercy for his part in the murder of Beckley policeman Chuck Smith, has won a new trial. Roberts CHARLESTON -- The West Virginia Chamber of Commerce would like to thank Rep. Shelley Moore Capito for voting against House Bill 3962, the health insurance "reform" bill that narrowly passed the House of Representatives. CHARLESTON -– Gov. Joe Manchin has announced that he has declared an additional one-half day off on Thursday, Dec. 24, which will constitute a full day off on Christmas Eve for all state government employees. CHARLESTON -- Gov. Joe Manchin and First Lady Gayle Manchin are encouraging all fellow West Virginians to attend Joyful Night, the state's annual holiday celebration. MORGANTOWN -– West Virginia University will pay tribute to coal miners with a Miner's Day program to be held on Tuesday, Dec. 1 at 8 p.m. in the Mountainlair Blue Ballroom. CHICAGO – The American Bar Association recently launched a new Web site intended to inform the media and public of important cases in the nation's federal appellate courts. Judy K. McCauley, Director SBA West Virginia District Office; Arria Whiston, President/CEO, Allegheny Technology Corporation; Dr. Dale S. "Butch" Caffall, Director, NASA IV&V Facility. (Courtesy photo) FAIRMONT -– Allegheny Technology Corporation (ATC), a small woman-owned, disadvantaged company, signed their first federal contact with the NASA IV&V Facility in Fairmont. CHARLESTON -- Nov. 19 marked the induction of the 11th class of Young Guns for West Virginia Executive. McGraw CHARLESTON -- West Virginia Attorney General Darrell McGraw's office is warning West Virginians to not respond to e-mail scams. King CHARLESTON -– The Martin Luther King Jr. West Virginia Holiday Commission is seeking nominations for the "Living the Dream" annual awards. CHARLESTON -- Supreme Court Chief Justice Brent D. Benjamin and Gov. Joe Manchin III will dedicate two new courtrooms in Mercer County on Monday. CHARLESTON – A death of a Fayette County infant helped trigger this week's recall of more than two million cribs, according to a Charleston attorney. MORGANTOWN -- A Delaware pharmaceutical corporation claims Mylan is illegally attempting to sell a generic form of a drug used to treat multiple sclerosis that the Delaware company patented. Williams HUNTINGTON -— Nelson Mullins Riley & Scarborough is opening an office in Huntington on Dec. 1. I just dropped in. To see what condition my commission was in. 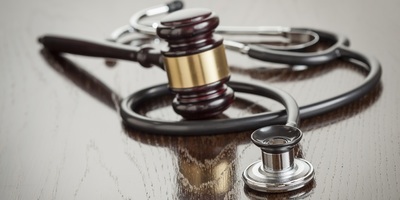 Recht CHARLESTON -– Circuit Judge Arthur Recht of Wheeling prevented a hearing he should have held on a doctor's malpractice insurance policy, the Supreme Court of Appeals has ruled.